What will the new iPad 5 bring to us? Apple fans around the globe is already wondering and this has become a huge topic for discussion. The iPad 4 came just around 7 months after the iPad 3 and was quite better in terms of processing due to the iOS 6 and Apple’s A6 chip. Given that the iPad 4 had such huge upgrades, what everyone’s waiting to find out is what will the iPad 5 bring for us. Lets take a look at what the different rumors and possible release dates of the iPad 5 are. The iPad 3 and iPad 4 came within 7 months of each other so it is quite tough to predict if the iPad 5 will be released in first few months of 2013 or towards the middle of the year. Apple is facing stiff competition from Microsoft Surface and Google Nexus 10 therefore, it might be possible that the iPad 5 might be released earlier than mid 2013. Presence of these new entrants in the market might force Apple for a March 2013 release is what the experts predict. Some other reports however say that Apple might stick to a mid-2013 release. Information from the Taiwan Semiconductor Manufacturing Company that says the parts will be supplied to Apple for a mid-2013 release. Neither of these reports seems to be 100% credible at this point. These are only speculations based on the market dynamics in the tablet world. At this point, there is stiff competition to the iPad which might make Apple release something sooner than planned to make its fans happy and to match its rivals. There haven’t been many things that have been said about the iPad 5 as yet. At this point, whatever we hear or read are all rumors about what features it could bring with it. The most popular rumor is that it will be the thinnest and lightest iPad yet. This stems from the fact that the iPad 4 was almost the same size and thickness as its predecessor. Therefore, at this point, it might be possible for Apple to bring out an iPad which could be lighter than the other versions so far. There are reports, which say that the iPad 5 might include the GF2 technology that was brought forth in the iPad Mini. This was the same technology which helped reduce dimensions and overall thickness in the iPad mini while also improving the touchscreen. The GF2 technology has made iPad Mini 53 percent lighter and 23 percent thinner than the iPad. Apple might release the iPad 5 in the same versions as iPad 4, i.e. 16 GB, 32 GB and 64 GB. Also, Apple might retain the same price points for each version of the iPad 5. 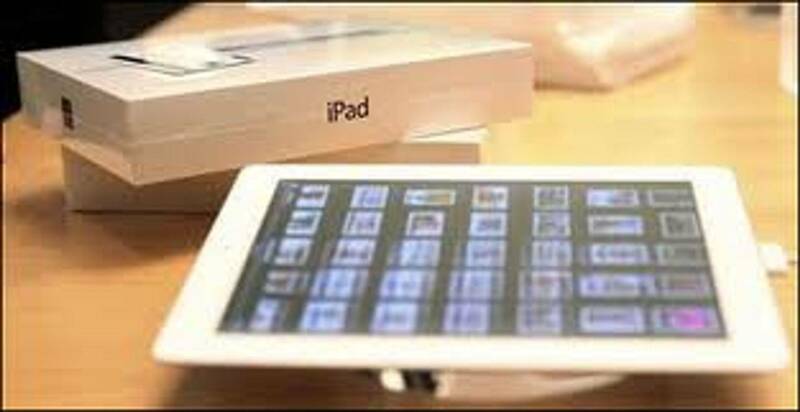 Other features which might figure in the iPad 5 might be reducing one of the LEDs as compared to the current configuration that has 2 LEDs. This will help consume lesser battery and will help reduce the weight of the device significantly. Hence, the battery in the new generation iPad 5 will also be slimmer than the older ones.